Elections in Holland are always very interesting. Because we have a multiparty system the question is always: who will govern with whom. In Holland, governing always involves compromise. 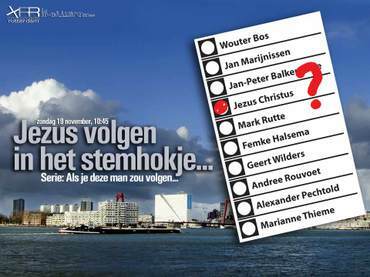 This year the Christian Democrats (CDA) won big again. They were already in the government, but their coalition partner, the liberals, got their hands slapped big-time. There are two socialist parties in Holland: the more centrist PvdA, and the more left-wing SP. On Wednesday PvdA also lost significantly, but SP gained 17 out of the 150 seats in Parliamant, a massive win. It seems many Dutch voters want a more social line in the government. Two other big surprises: a far-right party gained 9 seats out of nowhere, and the Christian Union (which is rather evangelical in nature) already had three seats, but gained an additional three. What coalition will Holland have for the next four years? There is no two-party coalition that will have enough seats (the purpose of a coalition is to have a majority in parliament). This means there is a good chance the Christian Union will be invited to the table: the other parties that could help make the coalition are too extreme, either on the left or on the right. I am not sure how I feel about evangelicals becoming part of the government. For sure, the leader of the Christian Union Andre Rouvoet is an outstanding politician who has the respect of just about everybody. But given our history as Christians I am not sure we should covet a place at the table right now. Historically speaking Christians and Power have been an unfortunate combination. It seems to me we are better when we operate from the margins.